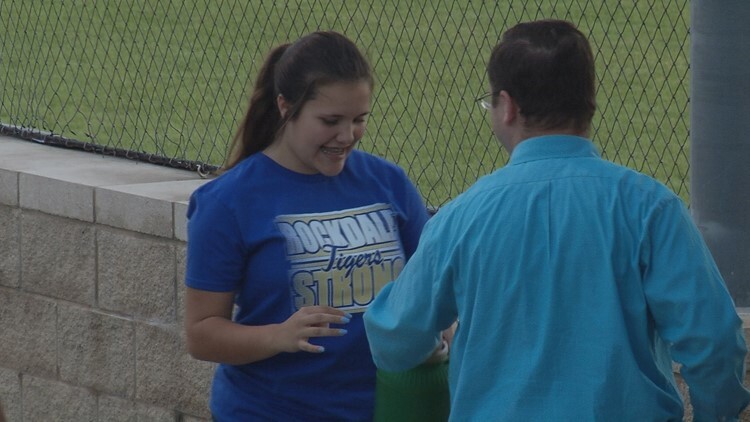 ROCKDALE, Texas — The Rockdale baseball and softball teams held a "pass the bucket" fundraiser Monday night to help out the victims of the tornado that tore through Franklin on Saturday. Rockdale Athletic Director Jeff Miller tells KAGS that despite being district opponents, the Tiger community is tight with the town of Franklin and would do whatever they could to help out. In the actual game, Rockdale held on to beat Franklin 4-3 on senior night for the Tigers.